The recommended dilution rate is approx. 230g to 9 litres of water. The liquid is then use at a rate of 140ml-250ml per 450 litres, depending on the ground conditions.Approx. 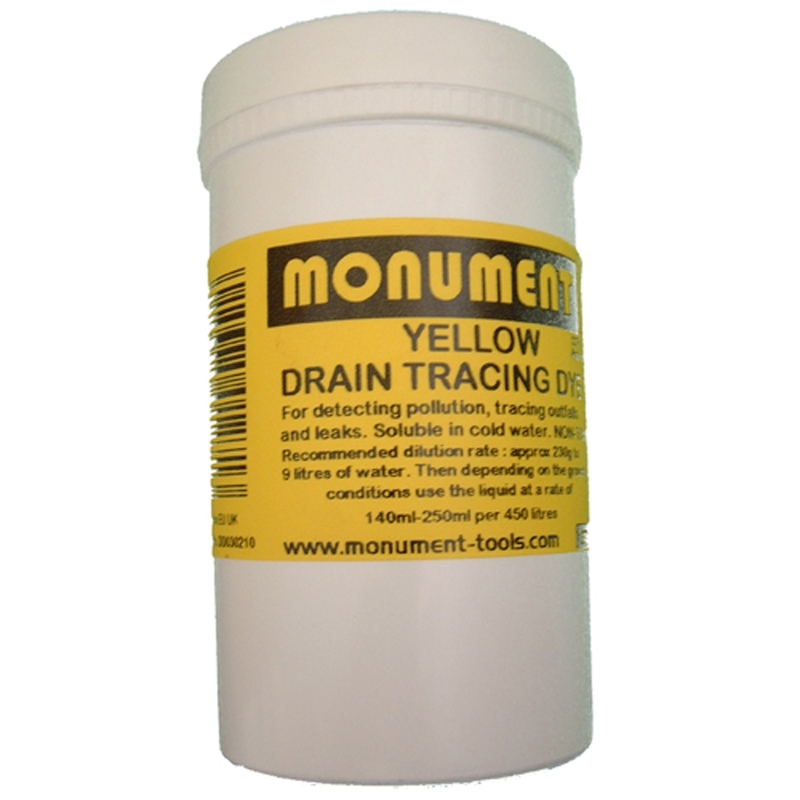 230g of drain dye will treat 28,800 litres at 140ml per 450 litres and up to 16,200 litres at 250ml per 450 litres.